To celebrate XLSTAT's 20th anniversary, Addinsoft announces the release of a Free version of XLSTAT. Any person will have unlimited access to 13 essential data analysis and statistical features directly in Excel for free. Covariance and correlation analysis including Pearson, Spearman and Kendall correlation coefficients, correlation maps, scatter plot matrices and many more. Paired and independent 2-sample t-tests and z-tests, including one-tailed and two-tailed alternative hypotheses. 2-sample comparison of variance tests. 2-sample non-parametric tests (Wilcoxon’s test, sign test, Mann-Whitney’s test), including asymptotic, Monte Carlo and exact p-value computations. Simple and multiple linear regression with many options including weights, 2-way interactions, validation procedures, predictions, multicollinearity statistics, missing data handling and type III effects. 1-way and 2-way ANOVA for balanced or unbalanced data, with many options including weights, 2-way interactions, validation procedures, predictions, missing data handling and type III effects. Time series smoothing including exponential and moving average. 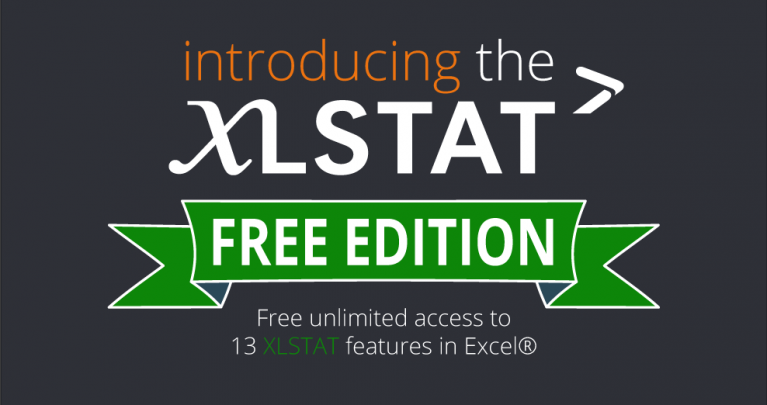 When you download and install XLSTAT, the version will appear automatically in your MS Excel interface if you are not using a trial version of XLSTAT or if your XLSTAT license key has expired.